Hello all. 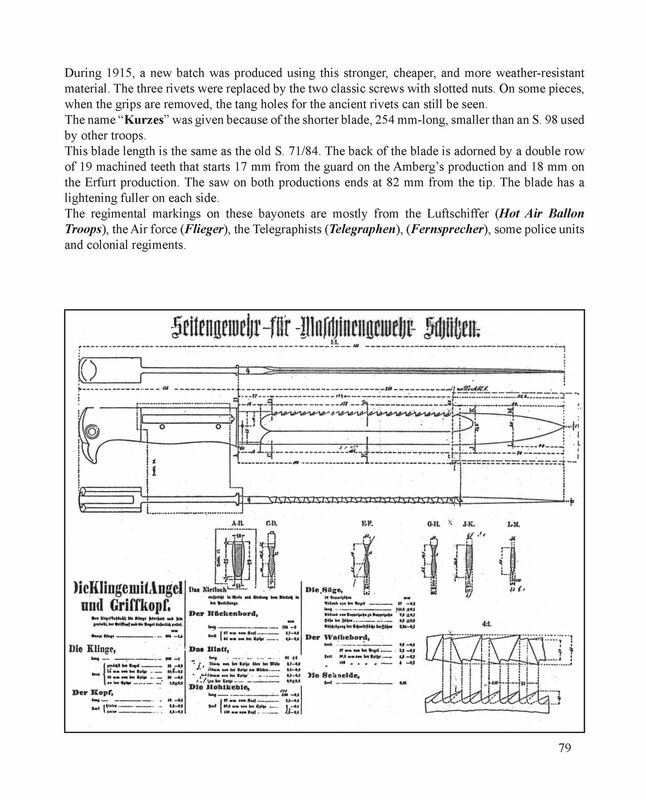 I’m new to this forum and getting into German WWI bayonets- mainly the 84/98. 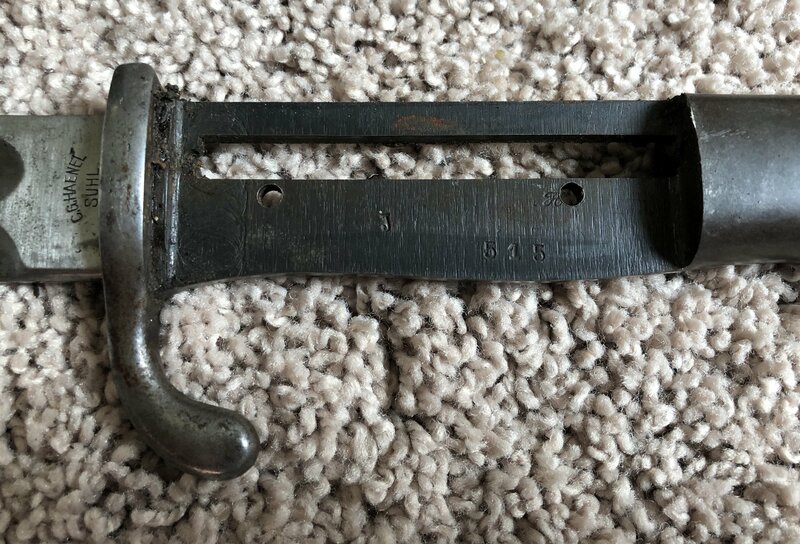 I picked this bayonet up recently and am not sure what to make of it. 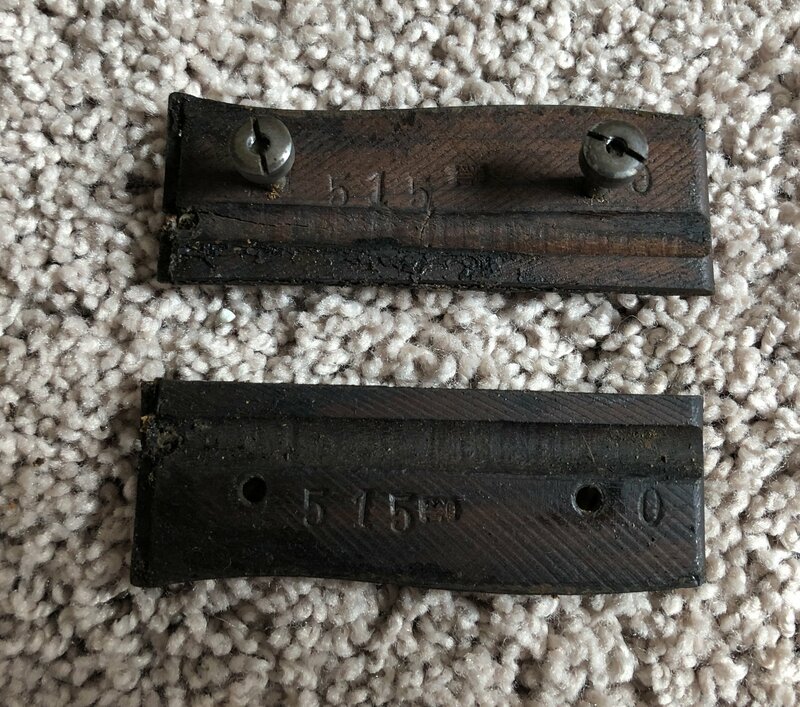 It appears to be dated 1904 and a KS98. It was wood grips, which I assume are replacements, and a flash guard, which I understand was introduced mid-1915. So would this be a mid-war rework, perhaps? Thanks for any input. Interests:Kings Shropshire Light Infantry, Royal Field Artillery (WW1 family links to these Regiments) Lee-Enfield and other small arms. 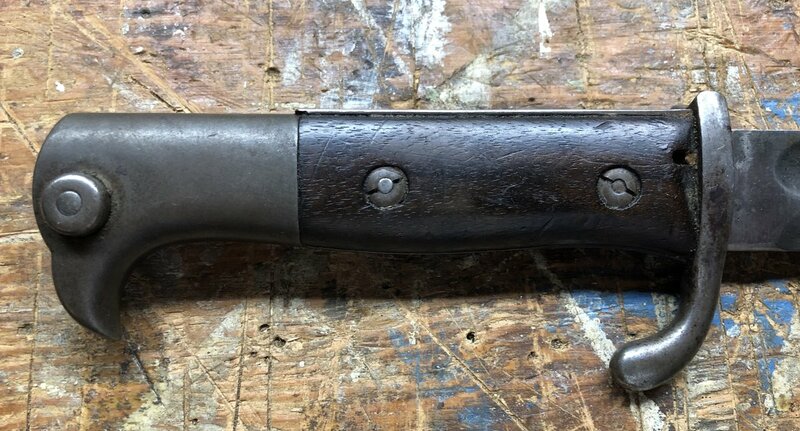 This is an early K.S.98, and would have originally had compressed leather grips with three fixing rivets. the flashguard was a 1916 update, the wood grips probably fitted at the same time, but were first fitted to production examples in 1915. A very nice thing to have! A very nice piece! I'd be happy to have it! 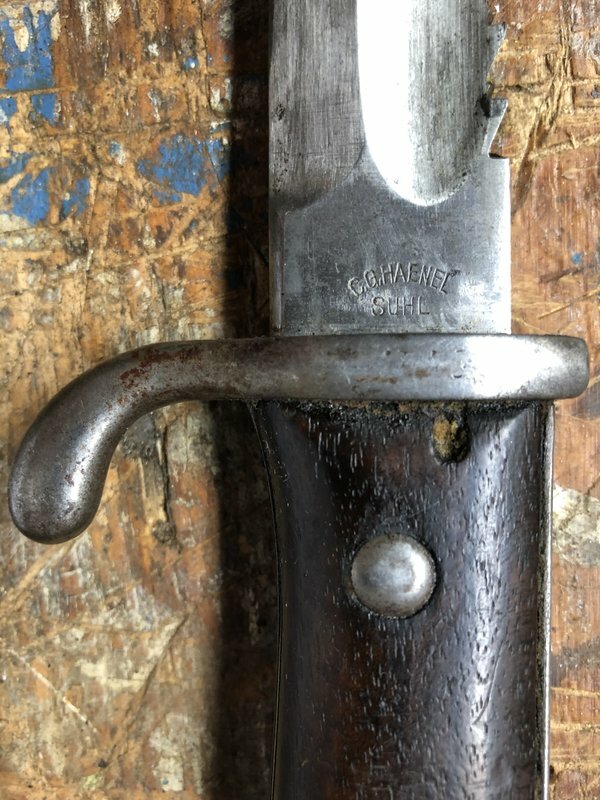 MikeyH has the broad details right, but it is actually most probably a 1914 issue - yes, no visible '1' before the '4', but all the known Haenel issue kS 98 bayonets to Bavaria (note the crowned 'L' for Ludwig of Bavaria on yours) were made that year. These all have these wood grips like yours, introduced on the kS 98 in 1913 for cost reasons, and so the grips are original, not replacements. 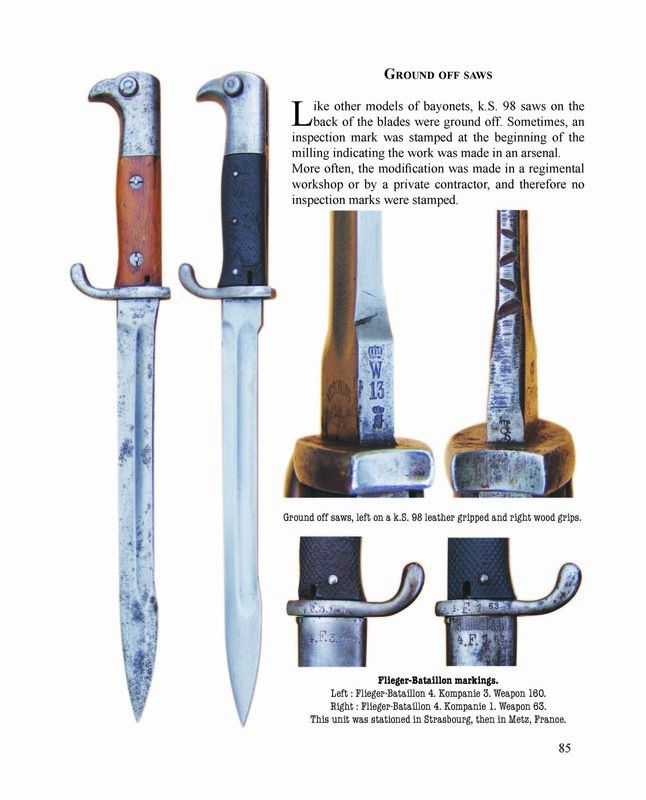 Flash guards for existing bayonets in service were introduced late 1915 - September, I think - and pretty certainly had ben fitted to all by 1916. However, these are for some reason rarely found on these kS98's, with only three or so known examples recorded in the 19190's. 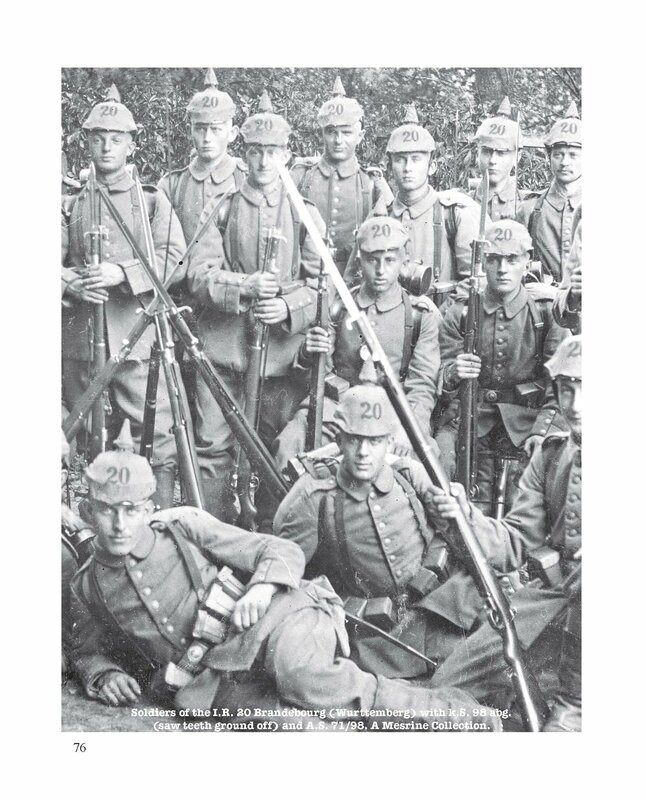 These bayonets were originally intended for MG units but in the Bavarian army they were also issued to telegraph, and 'Fernsprecher ' units. Later in the war they were also issud to pioneer units in place of the 98/05. All information from Carter vol 2, 134-136. Intriguing. Thank you for the information, Trajan. Now I need to find the Carter and a few other books on the 84/98 bayonet. informations on the Ks98 in my book English version. Thank you so much for the information. I’ll have to get a copy of your book. I finally managed to gently gently remove the grips. Both grips are numbered to match the bayonet (515) and the flash guard is completely unmarked. I’ll try to attach a couple photos. Looks like this one was built for the two screw style grips. I assume the flash guard came in a slightly later rework? I can just make out some lightly scrubbed unit markings on the cross guard, but can’t figure out what they are. The grips have fraktur marks and so are certainly Imperial period. Certainly look to be scrubbed out markings on the crossguard.... Might be possible to work out at least what unit it was as so few units used the kS!